Antibodies against proteins involved in co-stimulation and other aspects of immune cell regulation are of particular interest to therapeutics developers. Some have already entered the clinic, with more in the development pipeline. However, many aspects of immune cell signalling are still unknown, and researchers require ever more advanced tools to tap into this potential. 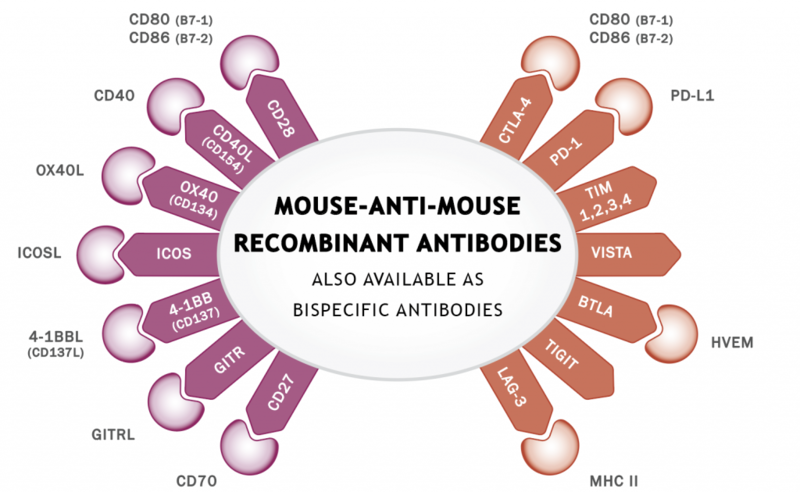 Absolute Antibody has developed a collection of recombinant engineered antibodies against clinically relevant proteins, including mouse homologues of current therapeutic targets. Contact us if you have any questions or would like a quote. See also: Our Fc-Fusion proteins are matched to our collection of immunotherapy antibodies, with all products available in a range of species specific and engineered Fc domains.